Rathindranath Roy was one of most prominent performers of the Swadhin Bangla Betar Kendra. Recalling his early singing career, Roy mentioned inspirational songs such as “Purbo digantey shurjo uthechhey” and “Nongor tolo tolo” (composed by Samar Das), “Rokto diye naam likhechhi” (composed by Shujeo Shyam) and more. He also sang some Rabindra Sangeet such as “O amar desher mati,” which motivated B...engalis during the Liberation War. In Roy’s view there are few parallels to these patriotic songs. Roy has also done his bit to promote folk genres, especially ‘Bhawaiyya’ songs that are popular in the Rangpur area. In 2002 he founded the Bhawaiyya Academy in Rangpur. Now the institution has branches in Gaibandha, Kurigram and Lalmonirhat. The objective of this academy is to promote folk songs through teaching youngsters and organising cultural programmes. Roy also has plans to launch a research-oriented publication on ‘Bhawaiyya’ music. Roy began his career as an artiste in 1960. He became a regular singer on radio and television. Initially his guru was his father Harolal Roy and later Ustad PC Gomez. 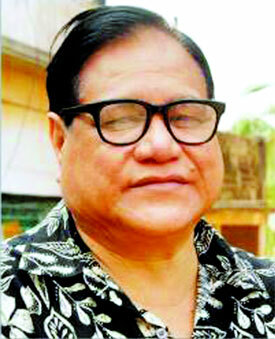 He performed in a good number of programmes when he was a student of Dhaka University. Roy feels that the new television channels are not promoting folk songs, as they should. He says, “None of the TV channels has a professional studio, which is a must. His major complaint against BTV is that the channel, unlike the radio, does not telecast folk music at prime time. Roy has a few reservations about stage shows as well. He says, “There are very few solo and group performances featuring folk songs on stage nowadays. This is because ‘Adhunik,’ rock and pop music are given preference over folk music.” Roy is not reluctant to give credit to those who are popularising folk songs by remixing/ re-arranging them. But he does not consider the new versions as “true” folk music. The seasoned artiste is unwilling to perform folk songs with Western instruments. 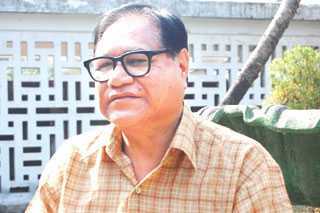 Roy has also been a playback singer and has won many awards like BACHSHASH (Bangladesh Cine Journalists Society) Award in 1979 and 1981, The Ekushey Padak in 1994 and the Popular Folk Song Award in the World Youth Festival in East Germany in 1973.